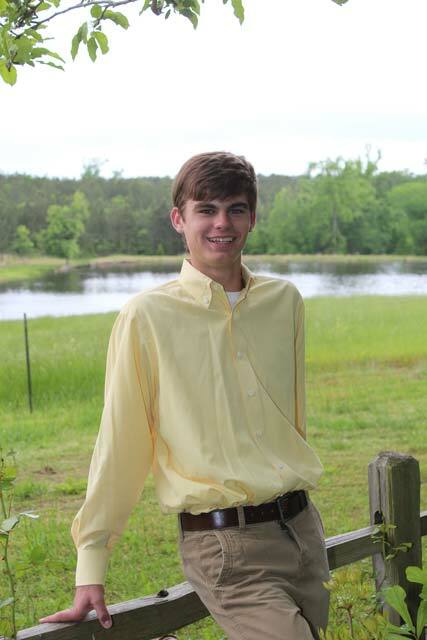 Russ Wilkes, an 18-year-old member of Edgefield United Methodist Church, has accepted an opportunity to serve with Love Africa Missions this May as a Summer Missions aid. Russ is the son of Russell and Julie Wilkes of Columbia Road, Edgefield, and the brother of Parker Wilkes. He is the grandson of Jack and Martha Wilkes of Winnsboro, and Elaine Parker and the late Leroy Parker of Edgefield. A summer missions’ aid serves a two-week stint by assisting the resident missionaries with various tasks that are needed. While two weeks doesn’t seem like a long time to serve, it does provide the experience to serve on an established missions’ project and to get the feel of what it’s like to serve in other countries. Also, full time missionaries need others to step in and assist on special projects; so a short-term program is beneficial to all involved. Russ has been interested in missions work for many years. His interest began with the Salkehatchie Youth camp in Edgefield County. He enjoyed helping other people fix up their homes, being with other Christian peers, and sharing God’s love with other people. Russ was also very active in the Fellowship of Christian Athletes at Wardlaw Academy, where he graduated in 2013. 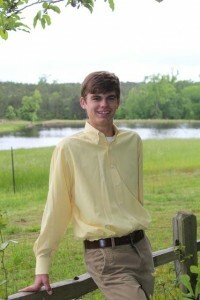 This led him to the FCA organization at Clemson University, where he is currently completing his freshman year. He also recently served as a Huddle leader at the FCA high school retreat at Garden City. Following final exams next week, Russ will be spending his time going to orientation for the missionary work and packing his suitcase. While Russ has been active in some local missions work in Edgefield County, his main interest has been in serving abroad so that he could see new areas of the world, meet people, and learn about different cultures. Amajorinfluence in his decision to serve as a missionary came from his aunt, Jennifer Parker, who has served on numerous short term missionary trips as a medical assistant. Her trips have taken her to various regions of Africa including Zambia, Ghana, Zimbabwe, and Nigeria. Russ, however, will be lending his carpentry skills in some building projects and will also be assisting in the community with a Bible school for children. If there’s a piano around, it’s certain he will play some familiar hymns for everyone’s enjoyment! But first, Russ has a goal he must meet before he can put a foot on the plane: he must raise his expenses of $3000 – which is a requirement of the program. 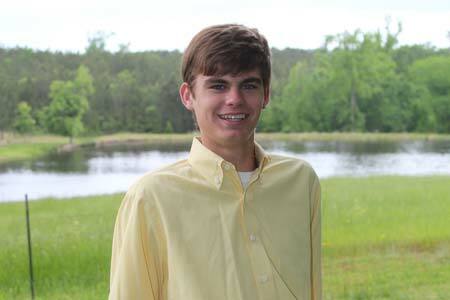 Funds have already been earmarked for him through donations received at Edgefield United Methodist Church; however, the Middle and High School Sunday School Class will be hosting a spaghetti luncheon on Sunday, May 4th to help him raise needed funds. During lunch, Russ will share videos and his testimony of how he was called to participate in this trip. How can you participate? Contributions may be sent by May 4th to Edgefield United Methodist Church, 309 Norris Street, Edgefield 29824. Please be sure to write “Pastor’s Discretionary Fund/Russ Wilkes” on the memo line. If you’d like to attend the luncheon, please make your reservation by calling the church office at 637-6163. There is no set cost for lunch as we hope you will give to this cause as you feel led; however a reservation is required for meal preparations. Please be in prayerful support of Russ and his family as he seeks to share the good news of Jesus with others in Kenya. For more information about Love Africa Missions, please visit www.loveafricamission.org.